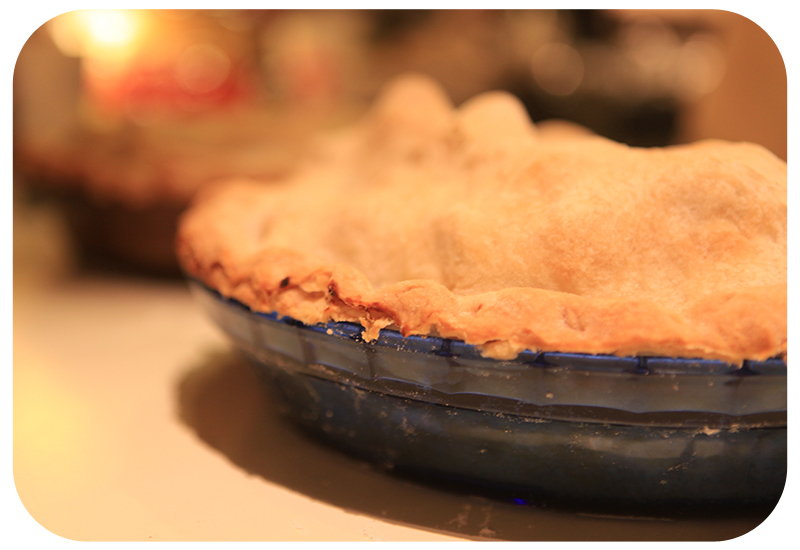 Pie is probably the most necessary part of Thanksgiving to me. Mother used to make 3 apple pies, 2 blackberry pies and 1 pumpkin pie for the big crowd at our Castle Bluff Thanksgiving gathering. We would leave straight from school and the van would be all packed with pies and food. One year I remember they were picking us up from school to leave and one of us stepped in an apple pie as we were climbing in the car. I can’t remember who it was, but I promise you that my sister can. After my Mother stopped crying, Daddy picked up the pie plate and started eating it. Then we passed it around the van. By the time we arrived at Castle Bluff the dish was licked clean and we were all laughing about it. Ina Garten’s version of deep dish apple pie with the apples piled mile high + Martha Stewart’s pie crust is my favorite recipe for apple pie. It’s so, so yummy. I cut the apples in big chunks so that they still have a little crunch to them. Place the pie on a sheet pan and bake for 1 hour, or until the crust is browned and the juices begin to bubble out. Serve warm. Roll each piece on a well-floured board into a circle, rolling from the center to the edge, turning and flouring the dough to make sure it doesn’t stick to the board. 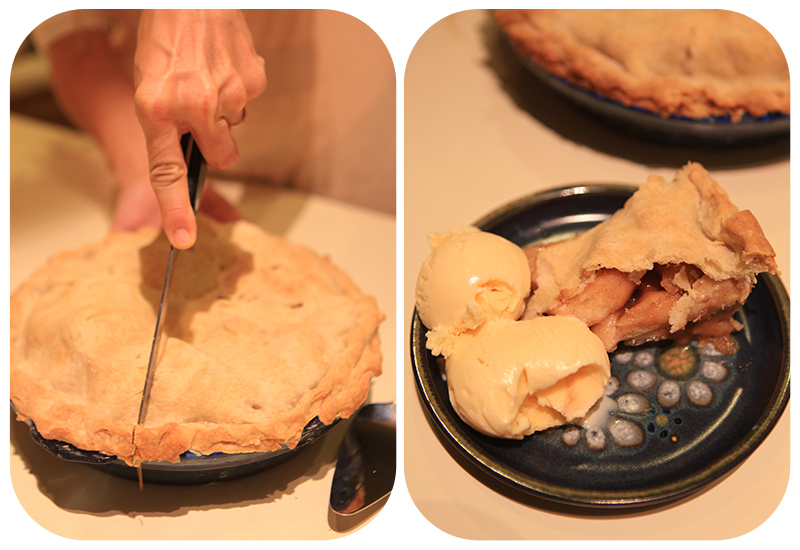 Fold the dough in half, place in a pie pan, and unfold to fit the pan. Repeat with the top crust. So fun to read this post. My favorite Thanksgiving treats are homemade rolls (my mother’s are the best) and homemade apple pie (yet again, my mother’s wins).